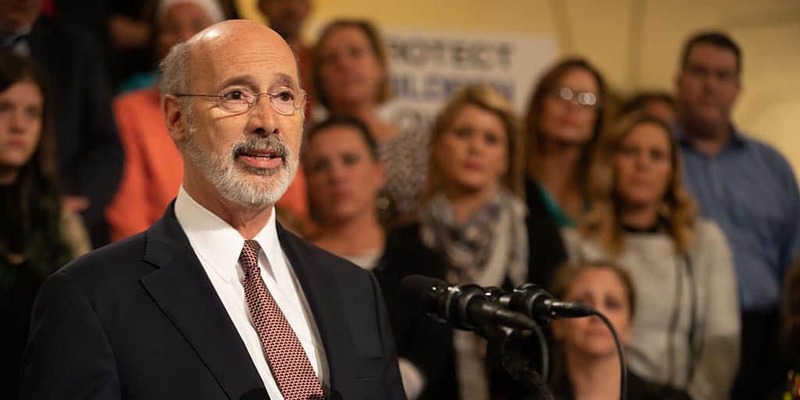 Harrisburg, PA – Governor Tom Wolf today announced his plans to immediately sign the domestic abuser gun violence prevention bill (House Bill 2060) and thanked advocates for their tireless work on behalf of domestic abuse survivors and future victims. The bill was passed in the House and Senate but will need signatures from both chambers before ultimately reaching the governor’s desk for signature. “For years, victims and advocates have fought tirelessly for passage of this commonsense and urgently needed reform. Today is about them but I am proud of their work and to have stood with them in this fight. “We know that too many families are being torn apart by domestic violence and too many domestic abusers use firearms to kill, injure and terrorize their victims. The reforms passed today are long overdue and will make important strides to protect victims and reduce violence.